Turfscape Cares about Your Property...and the Environment. 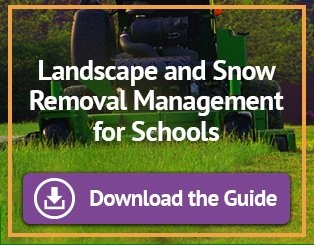 Being in the landscape & snow removal industry and having a love for our outdoor environment reasonably go hand in hand. Spending the day outdoors and enhancing the grounds of his surrounding communities is what appealed to Turfscape’s Founder & President, George Hohman, back in 1988. What doesn’t go hand in hand is the fact that this industry requires the use of numerous large, heavy pieces of equipment that can really leave a negative impact on the environment if not responsibly managed. At Turfscape, we focus on implementing green practices that improve efficiency and minimize waste. From using environmentally friendly fuel in our low emission fleet & equipment to recycling all of our green debris to calibrating our pesticide & salt applications, we concentrate on sustainable solutions every day. Not only are our Account Managers and crews committed to recommending native plants & trees and integrating organic mulch & fertilizers when applicable, but we do not always rely on gas powered shears when pruning. Instead, we take the time to skillfully hand prune which not only increases the plant’s longevity but also results in less pollution. Our environmentally friendly efforts don’t stop operationally either. Our office personnel diligently concentrate on reducing our impact on the environment by recycling, electronically invoicing & archiving and purchasing office supplies that are made with post-consumer waste. When it comes to sustainable practices, we are continually bettering ourselves as a company. Each year we are making adjustments with the goal of reducing our environmental footprint and leaving this planet to be enjoyed by generations to come. 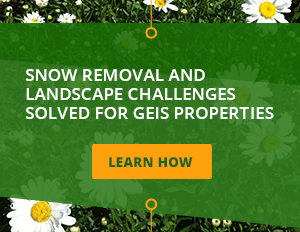 We understand that each commercial property brings its own unique landscaping and snow removal conditions and challenges. You can rely on Turfscape to work closely with you to deliver a sustainable solution that meets your expectations and budget.